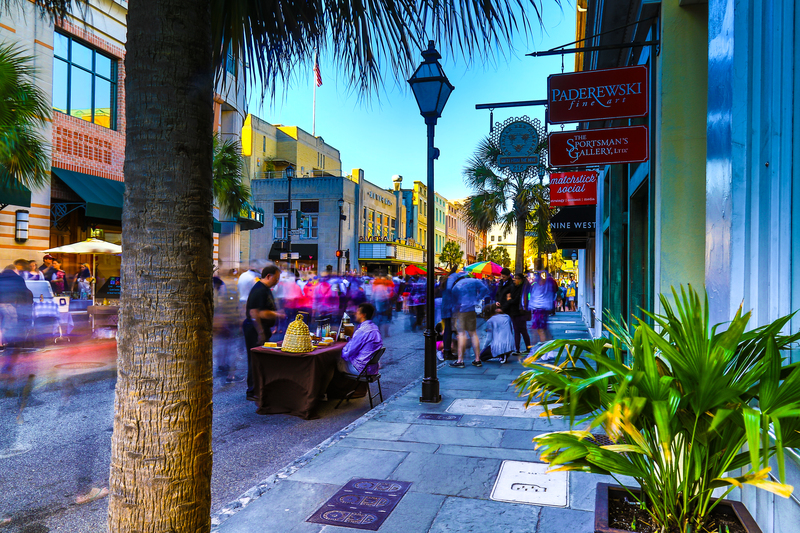 King Street is one of Charleston’s most recognized streets and a mecca for the shopping enthusiast. King Street is broken up into three areas: Upper King which runs above Calhoun Street and considered the design district, middle King which if lined with local and well-known shops and restaurants, and lower King which is considered the antiques district. Regardless of the time of the year, King Street remains vibrant with locals and tourist out and about shopping and enjoying the areas local cuisine. Although there are no single-family homes located in the commercial district of King Street, there are lofts and condos located above many of the stores available for purchase and rent. Prices range from $300k to $1 million. Parking can be tricky, so it’s important to know your options before buying. For a quick bite to eat try Bull St. Gourmet and Market (it’s actually on King St.). Looking for a variety of craft brews? Try Closed for Business located on Upper King. My favorite place for fine dining – Halls Chophouse….make sure to make a reservation. Looking for a bow tie and a seersucker suit to dress the part? Stop by M. Dumas & Sons!